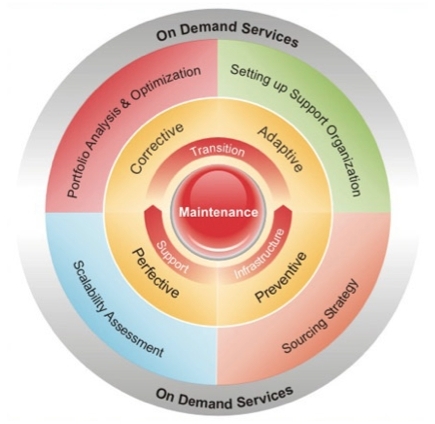 At Newebtime, Application Maintenance Services (AMS) go beyond merely managing and optimizing overgrown applications. We understand just how much of your IT budget is being allocated towards Application Maintenance. According to a leading market research firm, ‘keeping the lights on’ takes up to a whopping 80 percent of IT budgets. We also understand the logistical challenges involved in supporting Obsolete Technology and software, hence our portfolio-based, consultative approach takes a holistic view of technology, information architecture, people, and services. We first understand your business domain, technology roadmap, processes, and applications, then optimize and align team structures to deliver improved application support. With minimum downtime and volatility, your applications stay optimally geared to provide rapid responses to key change requests and business requests. Questioning redundancies and high-cost low business-criticality applications, Newebtime also ensures easier application maintainability. Newebtime’s AMS processes are tailor-made for maintenance; they are not an afterthought of development.